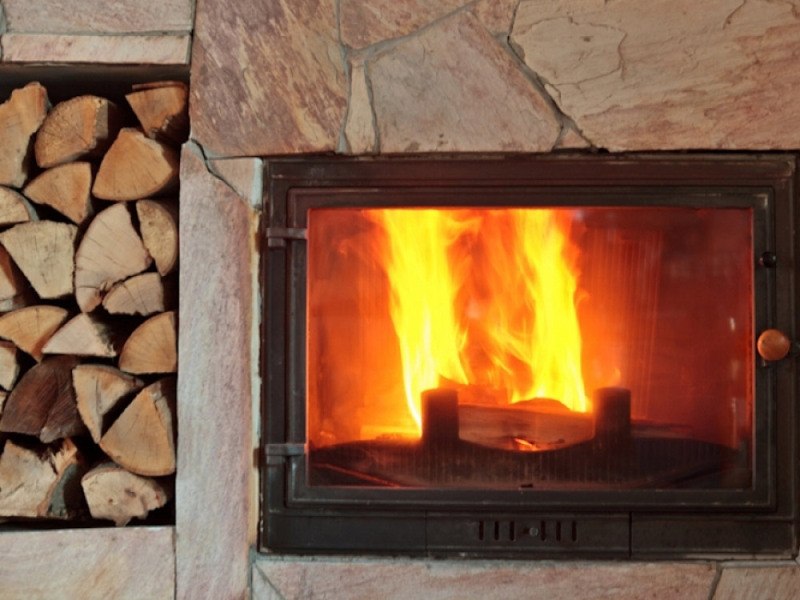 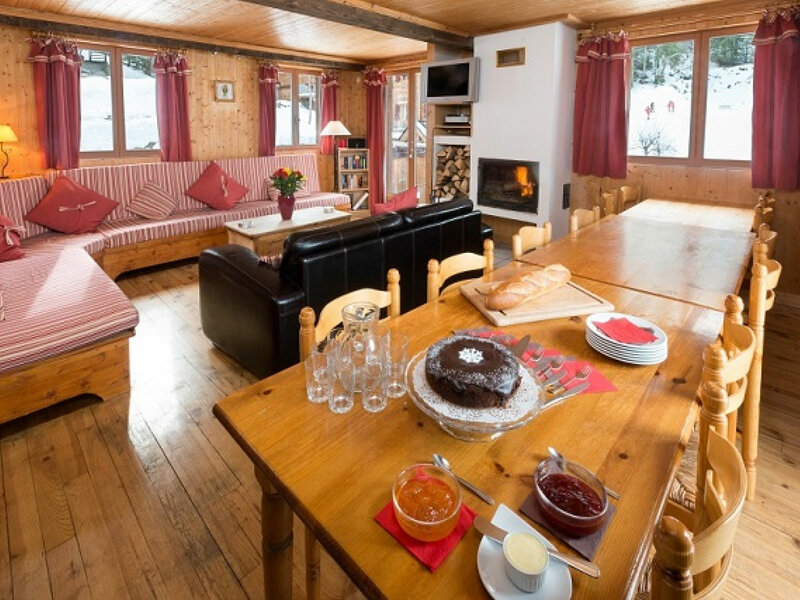 The open plan living and dining room is centred around a log fire and feels warm and inviting. 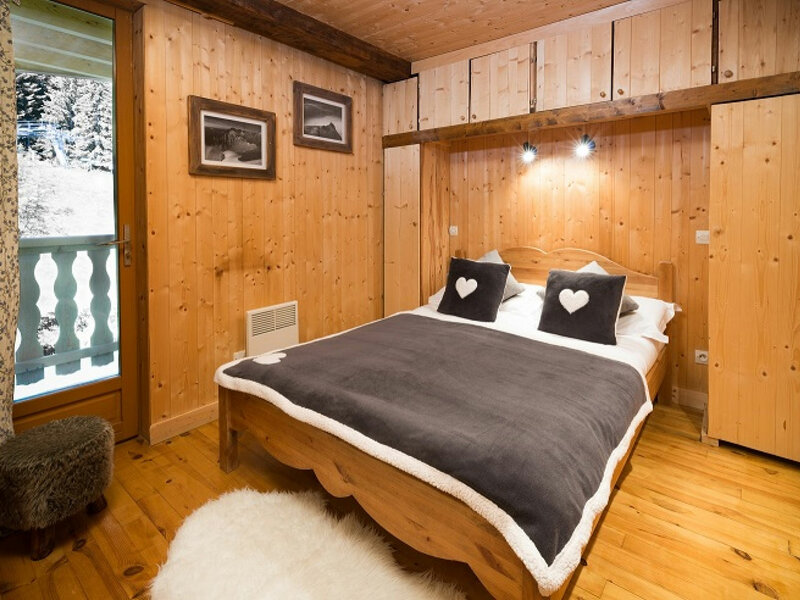 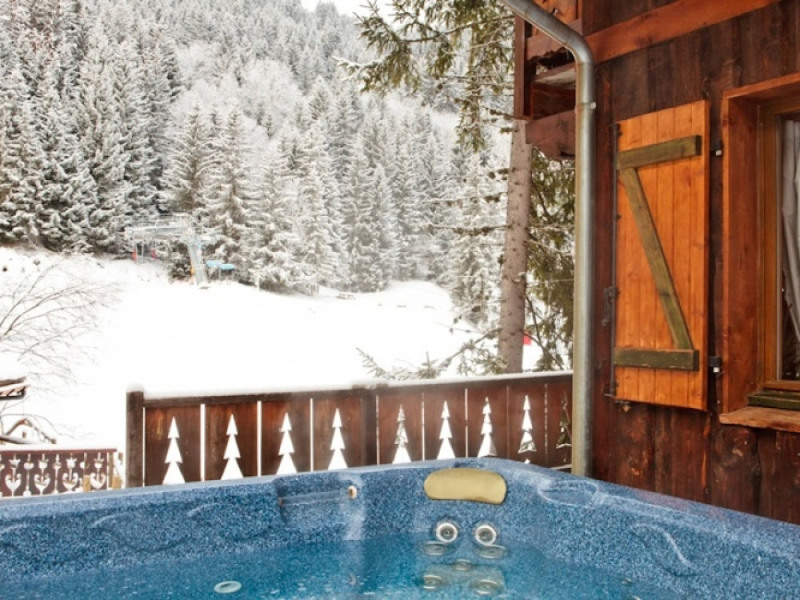 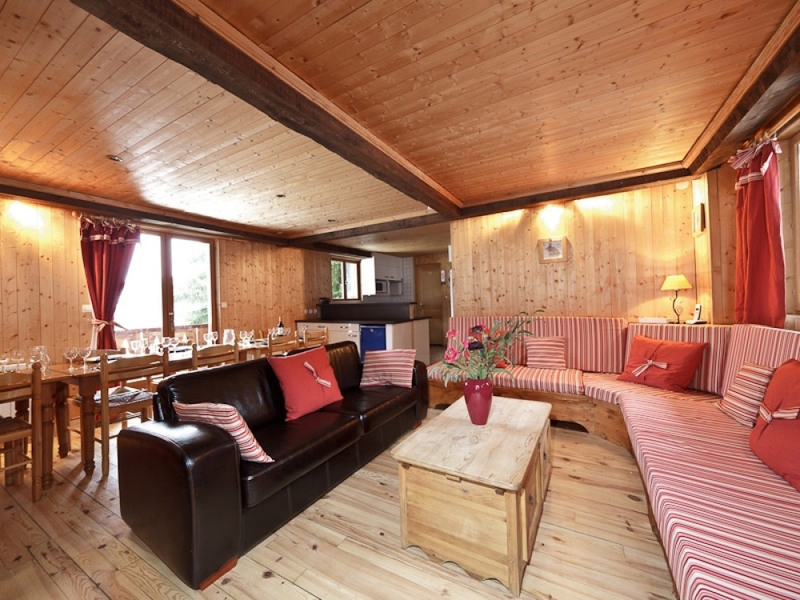 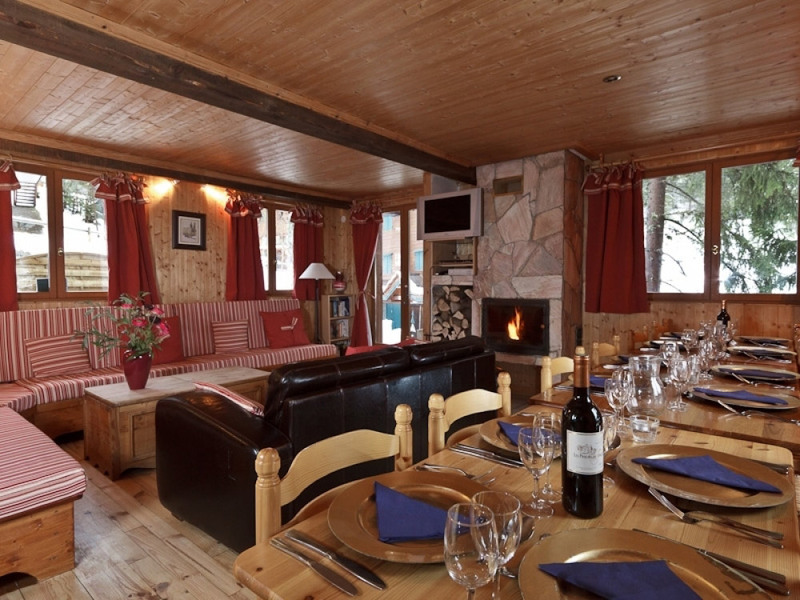 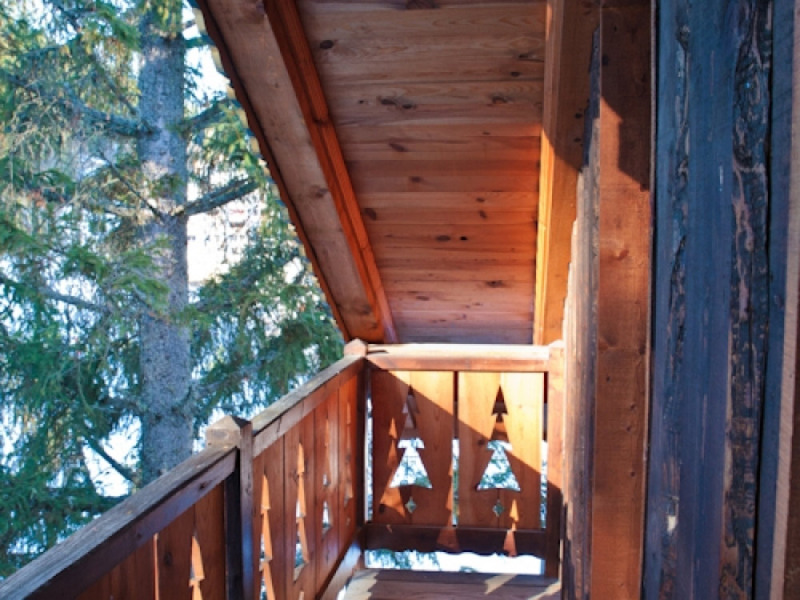 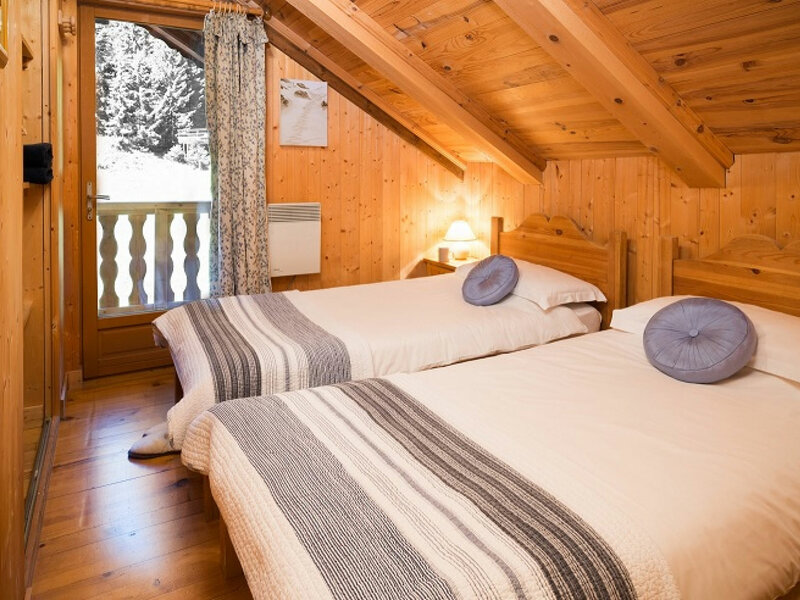 The room has large windows and opens onto a balcony which has a spectacular view overlooking La Tania’s pistes. 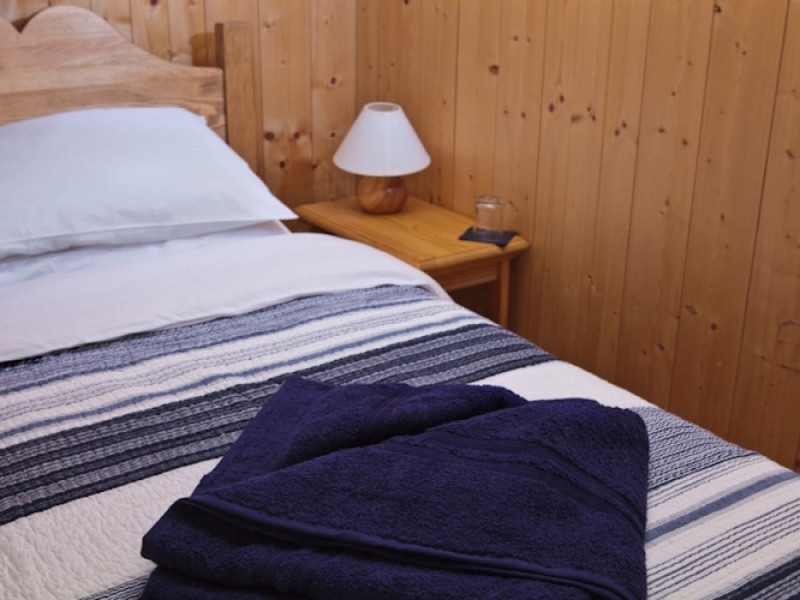 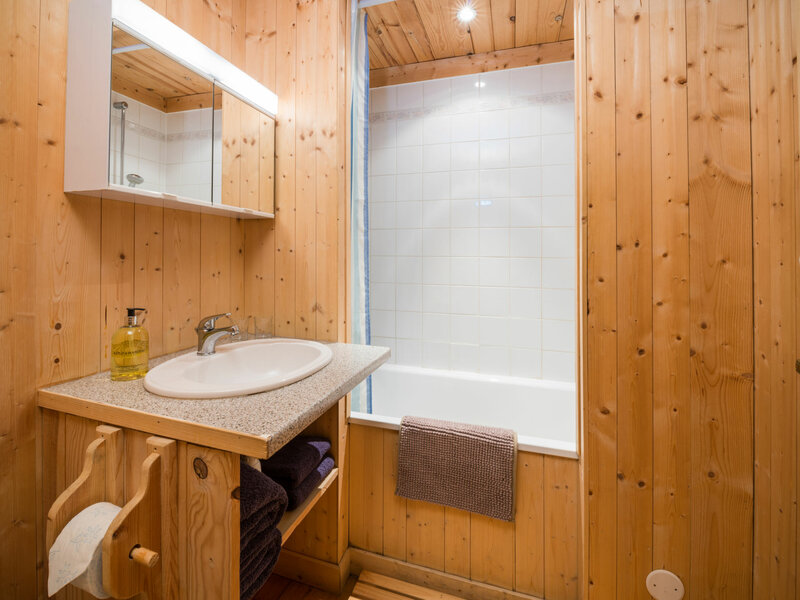 The bedrooms (5 twins and 1 double) each have their own en-suite bathrooms and we provide quality linen and towels during your stay. 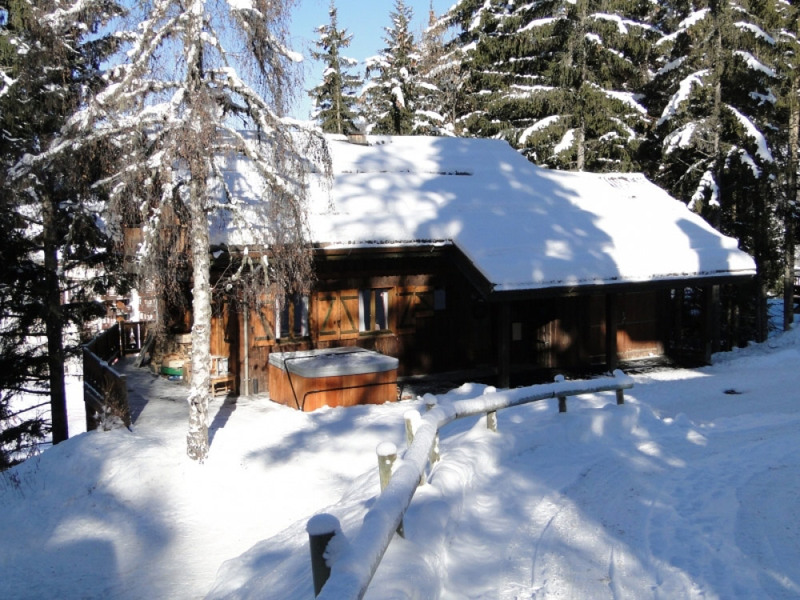 The ski room has a boot warmer, which turns putting ski boots on into a treat each morning! 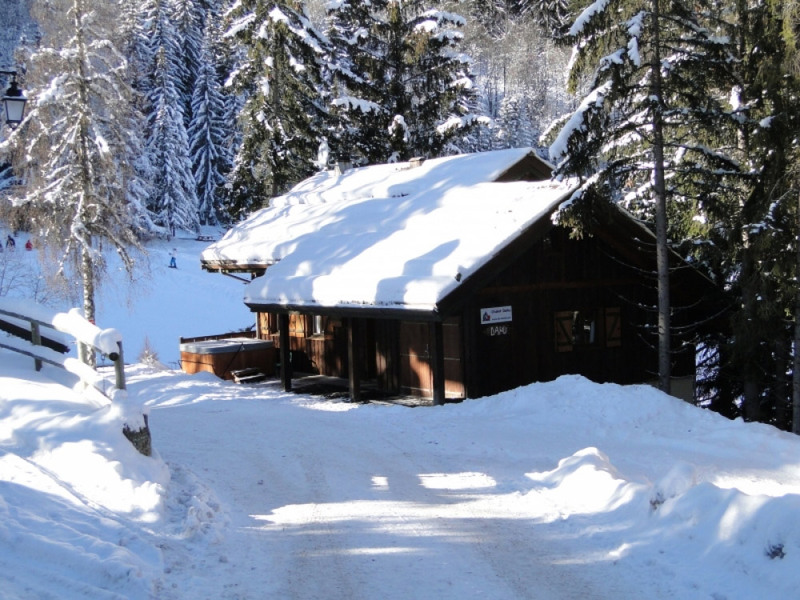 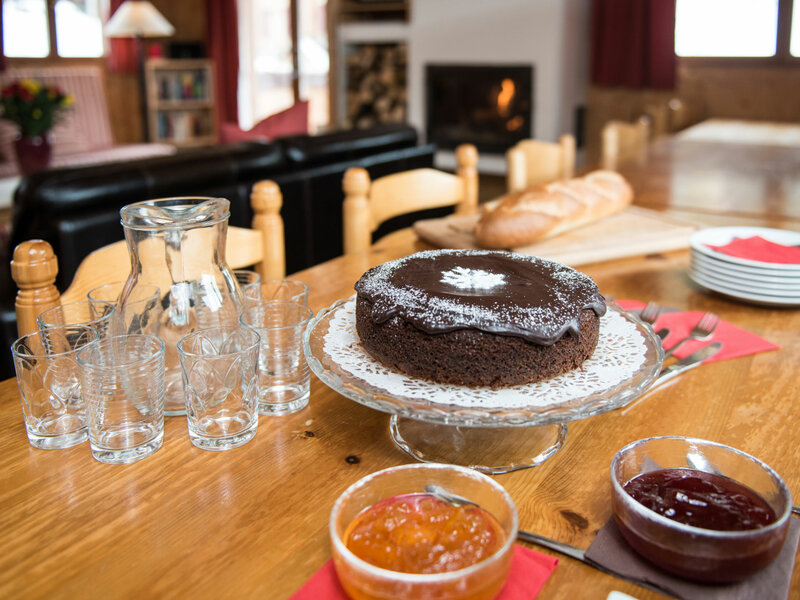 Chalet Dahu is situated right next to the blue piste leading to the main bubble giving fast access to the entire Trois Vallees skiing area. 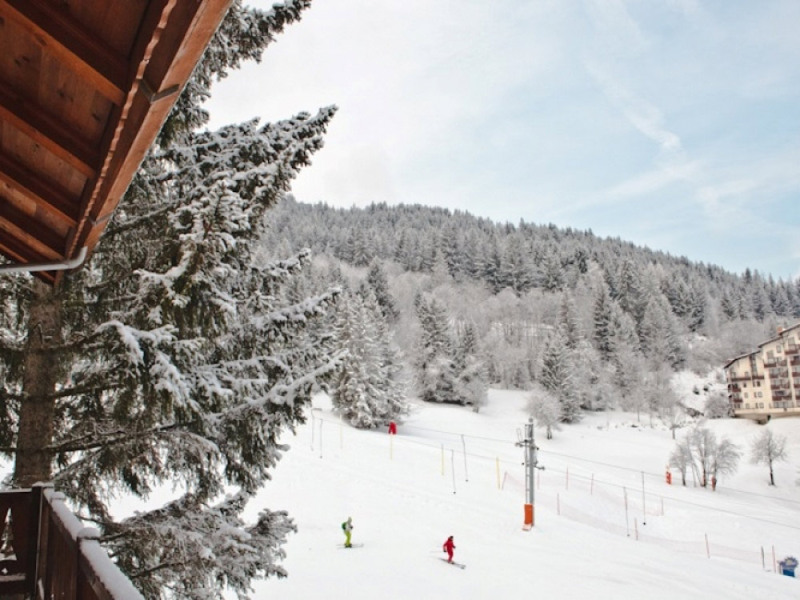 The village centre with its shops, bars and restaurants are close by and can be reached via public lift.